Players can explore the sites in any order; progress is recorded in journals that log collected artifacts, field notes and achievements. Throughout the game, players use C3 skills to analyze and make connections. They carefully deduct the facts about each area, stratum by stratum and artifact by artifact. 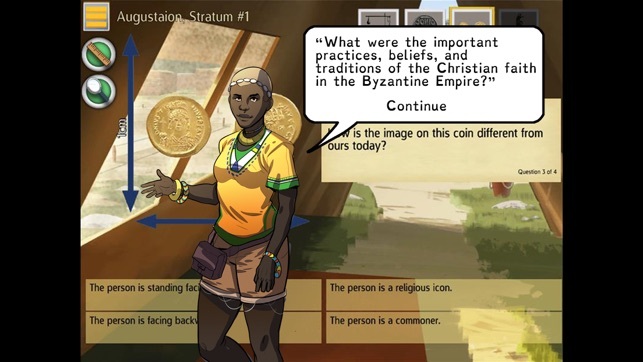 At each location, players make meaning of how artifacts were used through a series of analysis questions and reports that require players to make connections, read closely and consider the historical context of the primary source artifacts. Finally, players see each site come alive as artifacts populate an historically accurate image of Byzantine life. • Imperial Palace: Understand the people associated with leading the Byzantine Empire. • Oikos: Understand how the family was the center of the social system and the function of multiple items within the home. 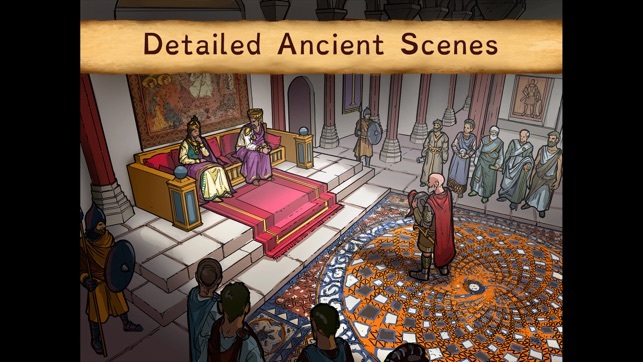 • Hagia Sophia: This scene helps players understand the daily practices of the Christian faith and items used for religious ceremonies in the Byzantine Empire. 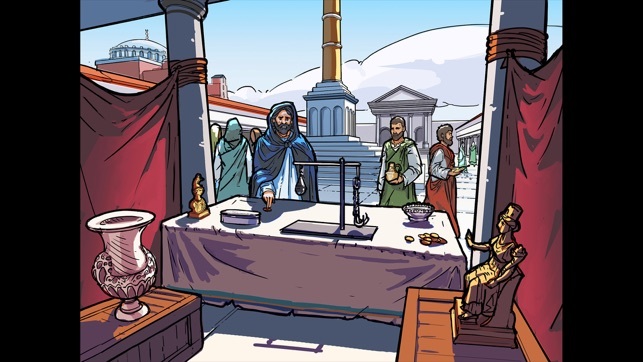 • Augustaion: Learn how Constantinople was a center for trade and visualize the market scene in the Byzantine Empire and the structural integrity and influences of the buildings surrounding it. Excavate! Byzantine is one of a series of civilizations available on the App Store. Check out our Rome, Greece, MesoAmerica, Egypt, and Mesopotamia apps. Built in consultation with social studies teachers, Excavate! uses overarching questions to focus student inquiry as they dig, analyze, report and learn through object-based evaluation. 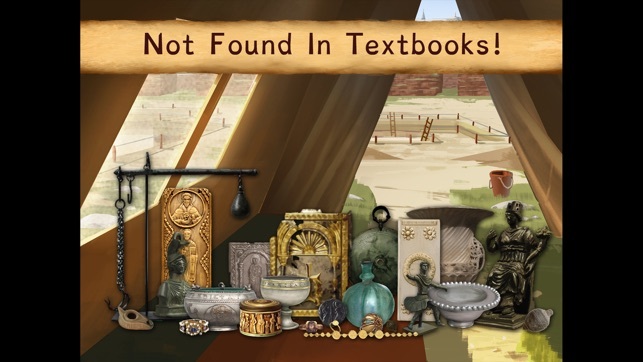 Highly detailed, historically accurate illustrations and artifacts help students make connections and see the “big picture” of ancient history. Interaction with artifacts, including detailed 3D models, allows students to understand what life was really like for people of different social roles. Extensive in-game resources such as comprehensive location and artifact information and an interactive glossary make it easy to extend the learning off the screen. Supporting educator materials, standards information and extension activities help educators seamlessly include Excavate! in any ancient history curriculum. Track student performance using the new GBLxAPI learning data format, which reports student progress against C3 and ELA standards in an easy to read format. Excavate! is a multi-game series that includes old and new world civilizations such as Mesopotamia, Egypt, Maya, Inca and more. Game bundles and bulk discounts are available.